Do I need a guarantor to financially assist with my property purchase? Due to current changes in the property market in Australia, and partially to the Global Financial Crisis of 2008, it is becoming increasingly more common for lenders to require that certain types of Buyers have a guarantor on their mortgage or loan. A guarantor is someone who is willing to sign documents with the bank/lender that makes them liable for the Buyer’s loan or a portion of the Buyer’s loan in certain circumstances. In effect, a guarantor provides the lender with additional security in the event that the Buyer is unable to make the necessary re-payments under the terms of their loan. In practice, what this means, is that in the event that the Buyer defaults on their loan, the lender can pursue the guarantor for the missed payments or possibly the full loan amount. Guarantors are required to have existing assets, such as real property, stocks, shares, or businesses, which are used by the lender as security, in addition to the property which is being purchased. So why would someone agree to be a guarantor? Banks have strict lending requirements, including evidence of genuine savings and large deposits. First home owners especially find it difficult to meet lending requirements and will require a guarantor to enable them to obtain loan approval. Generally, guarantors are relatives or a business partner of the Buyer. Parents of the Buyer are the most common form of guarantor, and are able to provide additional security to the lender by virtue of having an existing investment property or substantial equity in an asset. The other most common guarantor situation occurs when a Buyer purchases a property in the name of a super fund trust, and the lender asks the Buyer to provide a personal guarantee for repayment of the debt. If a Buyer has a guarantor on their loan, it is important to keep a few things in mind when it comes to the settlement of the property being purchased. The most important is that any guarantors to a loan also have to sign mortgage documents, and post the original documents with their signatures back to the lender. An easy mistake that many Buyers make is not ensuring that they have a longer period for the finance condition and/or settlement when their guarantors are interstate or overseas. 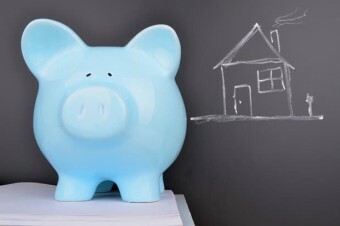 Another thing to ensure is that the assets that the guarantors are putting forward are in the correct name and match the current names of the guarantors – for example, if one of the guarantors has been married or divorced since purchasing their investment property and hasn’t had the title on the investment property changed, this may need to be done before the lender will settle on the loan. Most importantly, Buyers will need to make sure that they advise their legal representation when there is a guarantor involved. This will assist in avoiding unnecessary delays in obtaining finance approval and settling on the property. Anyone who has bought or sold a property in the last few years understands how frustrating the current conveyancing system in Queensland can seem – for example, correspondence is mostly sent by fax between law firms, parties have to mail original signed documents back and forth and the money the Seller receives at settlement is still in the form of bank cheques. The good news is that conveyancing around Australia is progressively moving away from these outdated processes. In Victoria all property conveyancing is now done through electronic conveyancing, in NSW electronic conveyancing is being progressively rolled out for different types of conveyancing, and in Queensland electronic conveyancing software is now available for law firms and lenders to use. Electronic conveyancing, or e-conveyancing, allows the parties to a conveyancing matter to conduct the process of the conveyance entirely online. The approved operator of e-conveyancing in Queensland is PEXA, and there are many benefits to having your conveyancing matter settled through PEXA whether you are a buyer, seller, agent, law firm or lender. PEXA’s software set up means that all letters are drafted in the PEXA system, and each document is approved by the parties involved in the transaction simply with the click of a button. These documents are then signed by solicitors in the respective law firm offices via secure online signatures that only the relevant solicitors have access to. This is in place of law firms having to draft documents through their own software, mail the documents back and forth with original signatures, in reliance upon the signed documents being delivered to the right address, and then physically held until the settlement date. The online software also means that, if you are a Buyer or Seller, you no longer have to worry about these documents at all. 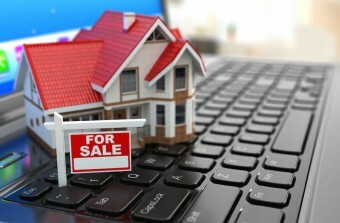 Best of all: e-conveyancing means that the settlements are done fully online through the PEXA software. In the place of agents for all the parties involved in the conveyance having to physically attend the same location at the same time on the same day, all parties simply need to make sure everything is complete in the PEXA system by one hour before the scheduled settlement time. No physical settlements means that a settlement won’t be delayed by the settlement place being closed for a weather event, or an emergency, or that your settlement won’t go through because a bank cheque has been made out incorrectly. Following settlement, funds from an e-conveyance arrive as cleared funds in the nominated bank accounts the same day as settlement – there’s no need for someone to physically bank the cheques from settlement, or mail them out to the respective parties, because there are no physical bank cheques. So why isn’t e-conveyancing being done for your property settlement right now? The main issue is that e-conveyancing is not mandatory in Queensland, as so many law firms and banks have not yet progressed to obtaining the required PEXA software. If all the parties to a conveyance are not registered with PEXA, or don’t wish to do the settlement via e-conveyance, then the matter must be settled the old-fashioned paper way. Apart from having the software, there will be scenarios in which your conveyance may not be able to be settled through PEXA as yet – for example, currently you may have trouble settling via e-conveyance if your purchase involves a trust or a transmission application. Just Us Lawyers are registered for PEXA settlements and would love to assist you in settling your conveyancing matter via e-conveyancing.